We have invested in our future workforce by taking on four new apprentices. 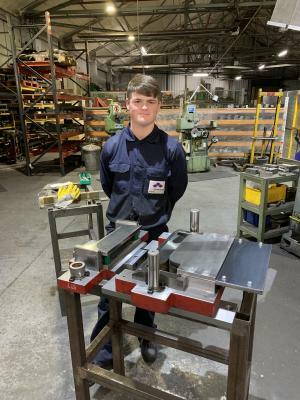 Michael Snowdon, Kalem Ainsley and Rhys Edwards from Hartlepool have joined The Expanded Metal Company as apprentice machine setters and will support in the manufacture of metal meshes for use across a wide range of applications and sectors. 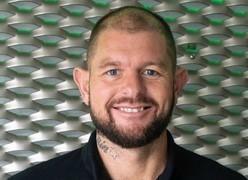 In addition, Hartlepool-born Max Tennant has been appointed as a Tool Room Apprentice. 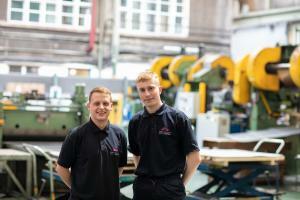 In his role, Max will gain a variety of skills in tool manufacturing, maintenance, development and testing activities. The apprentices are working towards industry standard qualifications including BTEC National Diploma, PEO Level 2, Functional skills ICT, Employment Rights and Responsibilities and NVQ Level 3 at The Technical Academy at East Durham College. Their apprenticeship programme will help Michael, Kalem, Rhys and Max gain hands-on skills at our 25,000 sqm site in Hartlepool, and this will be combined with classroom-based learning. "The Expanded Metal Company has been established in my hometown for more than 125 years and I wanted the opportunity to become a part of its legacy, and build an exciting career for myself, with the prospect of working through the ranks." 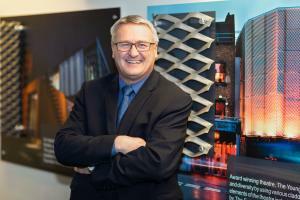 "I have always been keen on joining an engineering and manufacturing company. After speaking with members of the management team at The Expanded Metal Company, I gained an insight into the company s operations and the opportunities for me to progress into senior positions, which I hope to pursue in the future." "As a company, we are proud to play a part in helping to close the engineering skills gap and in supporting young people in developing specialist skills. 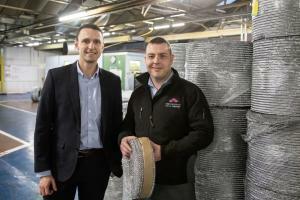 We have a wealth of expertise in expanded metal mesh manufacturing and fabrication here at our site in Hartlepool and it s fantastic that through our apprenticeship programme, young people from the area can tap into this. 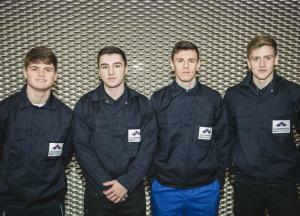 Pictured above, from left to right: Max Tennant, Rhys Edwards, Michael Snowdon and Kalem Ainsley.